Last week, NVIDIA finally released their GeForce RTX 20 series graphics cards. Taking a complete departure from traditional GPU design and creating a hybrid architecture that includes a range of new technologies to power the next-generation immersive gaming experiences. The key highlight of the GeForce RTX 20 series was the enablement of real-time raytracing which is the holy grail of graphics and something NVIDIA spent 10 years to perfect. In addition to raytracing, NVIDIA also aims to place bets on AI which will play a key role in powering features such as DLSS or Deep Learning Super Sampling, a unique way of offering the same quality as the more taxing MSAA AA techniques at twice the performance. We looked at the performance in detail of the GeForce RTX 2080 Ti and GeForce RTX 2080 FE cards and thought them to be a good gain over their predecessors, the GTX 1080 Ti and GTX 1080. When it comes to pricing, the GeForce RTX 20 series are some of the most costly graphics cards NVIDIA has offered to consumers. The reference variants are great with their new cooling design and good looking shrouds but AIBs have also prepped their own custom models which would rival the FE (reference) cards. One such custom model is the Gigabyte Gaming OC, which comes in both RTX 2080 Ti and RTX 2080 flavors. Featuring an updated design over the previous Gaming variants which was available on the flagship GTX 1080 Ti last year, the new model supports even better specifications and a re-designed cooler which looks awesome. It’s worthy to note that the Windforce 3X cooler that the Gaming OC is using is the refinement of their previous Windforce cooler with an array of three heavy-duty fans, offering higher heat dissipation than the previous models. 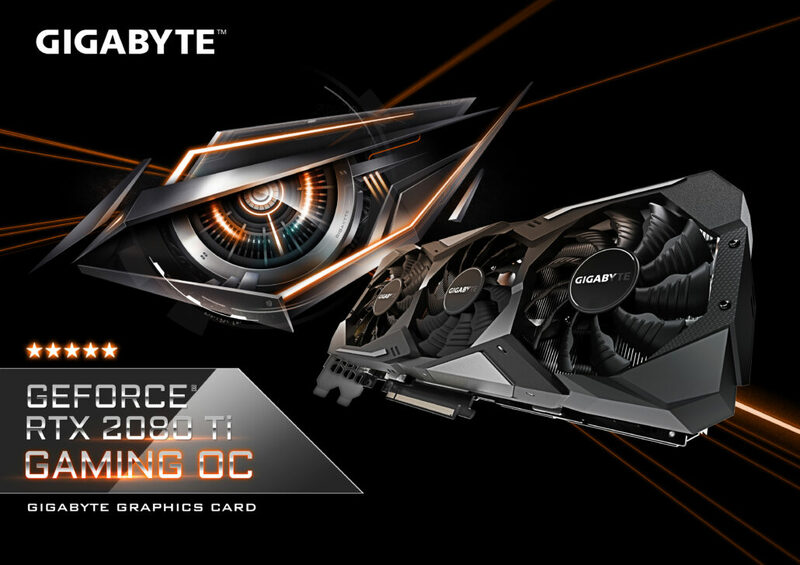 Today, I will be testing the Gigabyte GeForce RTX 2080 Ti Gaming OC model which comes with the triple fan Windforce 3X cooling system and incorporates a factory overclock for faster performance than the reference variants.